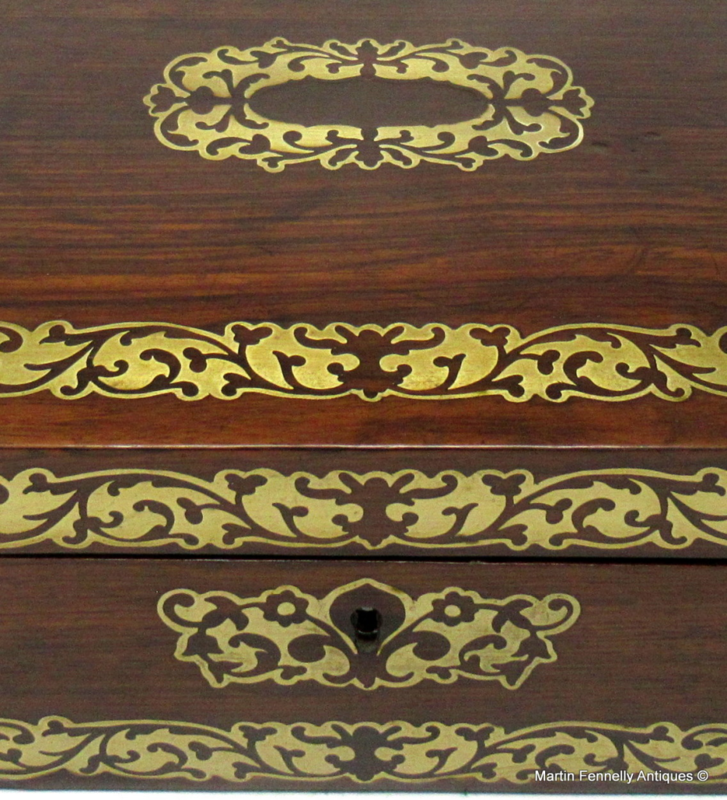 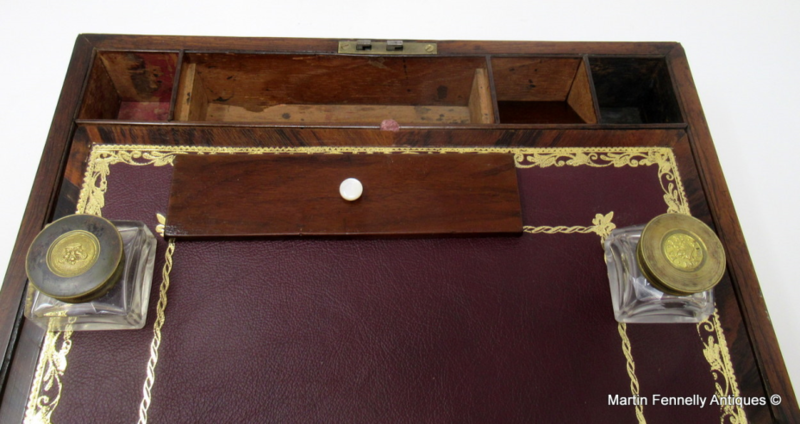 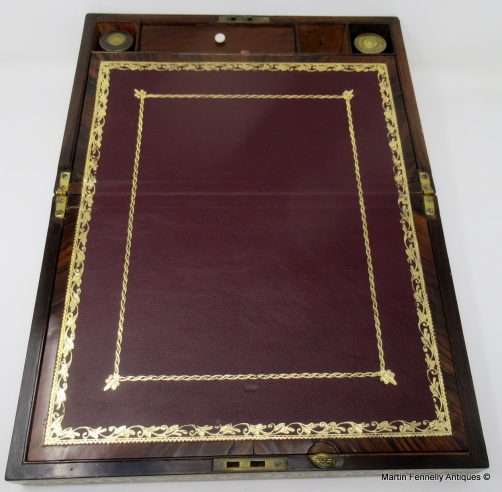 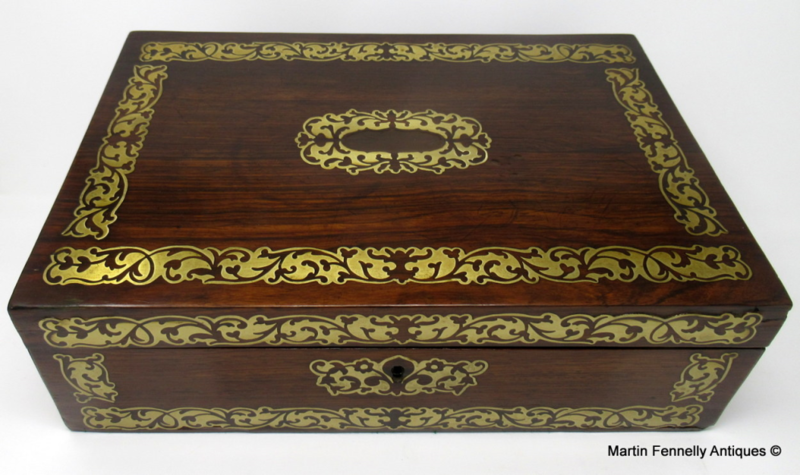 Fine Quality English Well Figured Rosewood Ladies or Gents Travelling Writing Slope, with lavish brass inlay decoration, twin polished brass carry handles, early 19th Century, complete with original fitted interior. 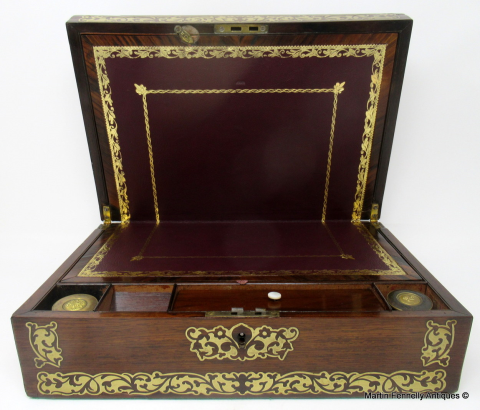 Condition: Professionally restored with replaced gold leaf tooled burgundy leather inside. 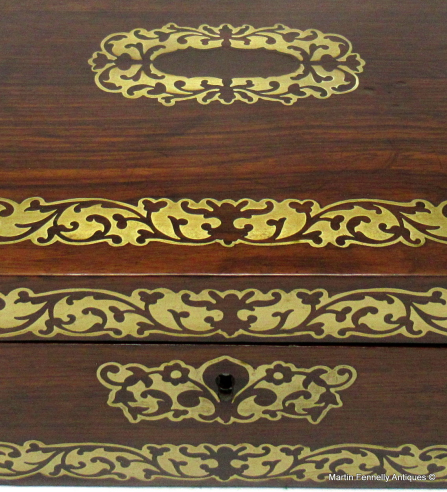 Lock is present and working, lacking key. Two crystal ink bottles of the same period. 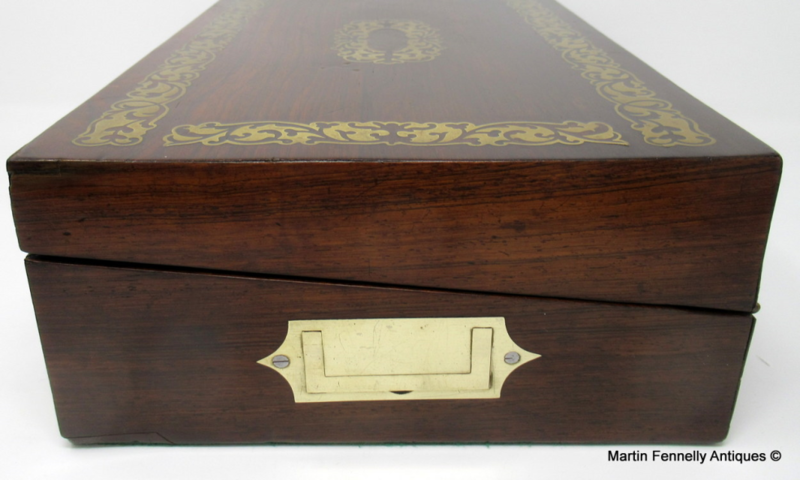 Height: 4.5” (11.25cm). 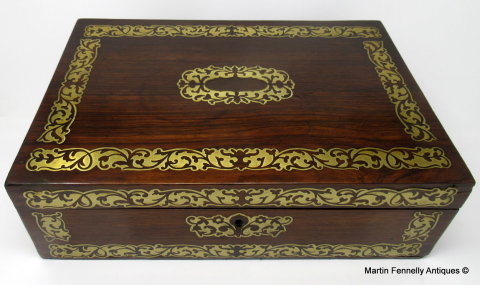 Width: 14” (35.5cm). Depth: 9.5” (24cm).